One thing most businesses want to see is an ongoing improvement in their marketing results, which is even better when there is an ongoing decrease in costs. 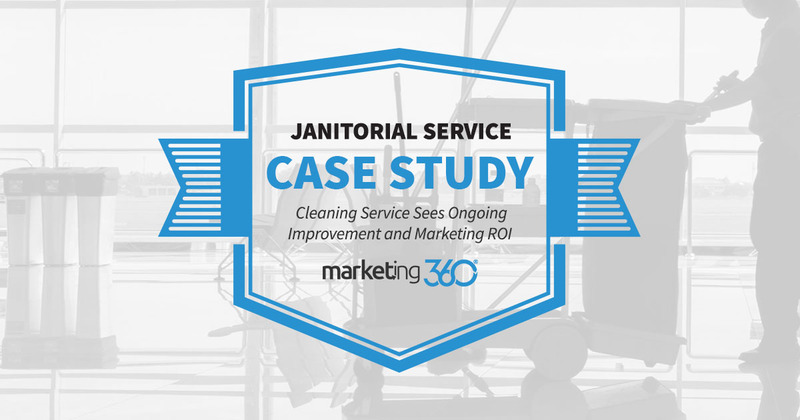 Here’s an example of this data from a Marketing 360® janitorial service client. An increase in conversion rates that results in high quality lead generation for the business. A decrease in the overall cost per conversion, meaning the cost to acquire each new lead is lower. Redesigning their website so it focuses on converting visitors into leads. The redesign also made their site mobile responsive. Optimizing their content so they’re on page one for prime organic terms. Setting them up on Local Service Ads to take advantage of that platform. Optimizing paid ads by funneling budget to ads that perform and discontinuing ads that do not. Getting more customer reviews on Google, Facebook, and Top Rated Local. Setting up call tracking so ad and website calls are counted as conversions. This is what we call “doing more of what works and less of what doesn’t”, which is also known as campaign optimization. Our clients hire us because they don’t have the time or expertise to execute their digital marketing consistently. But they don’t stay with us for years just because we save them time. They stay with us when they see data like this. And why not? Their marketing is paying for itself, as an sound investment should.